Home » Company News » Sapphire is now Online! Sapphire is a store that specializes on different kinds of silver and gold-made jewelry, located in Ternopil, Ukraine. 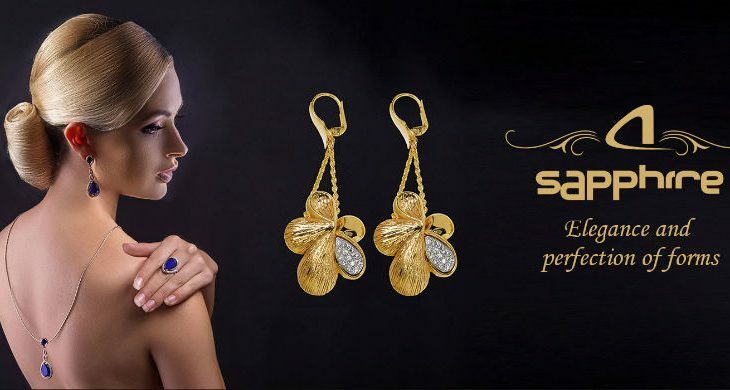 We are happy to introduce you the brand-new online store Sapphireua.com, where you can make an online order of any jewelry that is available in the shop. On Sapphire store, you can choose from a big variety of jewelry and satisfy even the most specific wishes. The website has a modern design and powerful functionality, so it looks very attractive for newcomers. With the ergonomic user-friendly interface, it is pretty-looking and easy to use for all users. The website uses powerful technologies and has SEO optimized site structure. Three language interfaces are available: English, Ukrainian and Russian, so it really doesn’t matter where the customers come from. Website has integration with Google services and social networks. In addition, the personal account is available for users, where they can keep track of the orders, set up the default address and other information which is the matter of convenience and usefulness.